Ford Model T car books cover the history, development and restoration of the Model T.
The Ford Model T (Tin Lizzie) is an automobile that was produced by Henry Ford's Ford Motor Company from 1908 through to 1927. 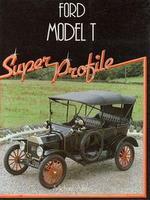 Ford Model T Super Profile by Michael Allen (1987). Full specifications of the full twenty year production run, plus an amazing array of extras, mostly not sanctioned by Ford, but that could be added to your car to suit its use and climatic conditions. Fifteen Million Tin Lizzies by Charles Bishop (1959) includes two articles 'Ford - From A to T' and 'The Ubiquitous Model T' reprinted in conjunction with the 50th anniversary of Ford, containing specs, more than 100 illustrations and photos documenting the evolution of the Ford, early parts break-downs, production data and more. Ford Model T: The Car That Put The World On Wheels by Lindsay Brooke (2008) relates the adventures and misadventures that were part of owning and driving a Model T. The author chronicles the changes the car's unprecedented popularity wrought in the auto industry and he tracks the Model T through popular culture, from its role in early motorsports to its resurgent popularity in the 1950s and 60s as a platform for T-bucket hot rods. Illustrated throughout with period art and evocative photography, this book celebrates as never before the car that epitomized the American automobile. 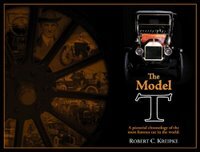 The Model T: A Centennial History by Robert Casey (2008). In time for the centennial celebration of the Model T, Robert Casey captures the remarkable story of that car's history and development and of its long-lasting impact on America. Here are the people who built the Model T and how, the folks who purchased it and why, and the profound technological leaps in mass production and mass consumption that we associate with the Model T.
The Legendary Model T Ford: The Ultimate History Of America's First Great Automobile by Tom Collins (2007) explores the historic revolution Ford's Model T sparked with a low priced, mass produced car that was lightweight and tough. 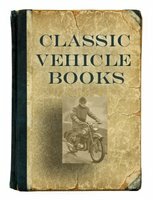 Floyd Clymer's Historical Motor Scrapbook: Ford Model T Edition by Floyd Clymer (1954) includes Model T photos, early ads, gadgets, instruction data and prices of Model T parts. Floyd Clymer's Model T Memories by Floyd Clymer (1948) is filled with pictures of the Model T including photos of Henry Ford. Any Colour - So Long As It's Black: Designing The Model T Ford 1906-1908 by John Duncan (2008) provides a concise and fresh look at the design 100 years later. It is not an engineering treatise or an owner's manual; the aim is to get inside the mind of Henry Ford and to explain the design features that accounted for the car's success and to do so in a way that will appeal to anyone who would like to know why it has generated so much enthusiasm. The story is as much about people as it is about nuts and bolts. The character of the engineer and his design are interwoven to a surprising degree, and the singular personality of Mr Ford is shown to be reflected in his car. Model T Essentials by Murray Fahnestock (1966) Ford Service Bulletin. MODEL T & MODEL A 1904 - 1931 Catalogue by Richard Henderson (1981). Fully illustrated with drawn and photographic depictions of the component parts with prices (for 1981). Model T Restoration Handbook by Leslie Henry (1965). Step by step restoration techniques and procedures used to restore the Model T.
Model T: A Pictorial Chronology Of The Most Famous Car In The World by Robert Kreipke (2008). The 100th Anniversary book of the Model T features approximately 300 rarely seen or never before published photographs from Ford's archives. 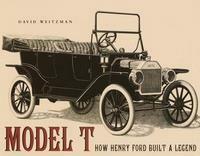 From Here To Obscurity: An Illustrated History Of The Model T Ford 1909-1927 by Ray Miller (1971). Through the evolution of the world's most popular car as the yearly refinements and improvements came into being. As a consequence with the aid of this book a collector/restorer of historic cars can readily date a particular car and check to ensure the extras and accessories fitted are correct to the year. Henry Ford And The Model T by Michael O'Hearn (2007). In graphic novel format, tells the story of Henry Ford and his popular Model T automobile. The Model T Ford Car: Its Construction, Operation And Repair, A Complete Practical Treatise by Victor Page (1917). A complete practical treatise explaining the operating principles of all parts of the Ford automobile, with instructions for driving and maintenance. The Model T Ford Care by Victor Page (1917). A complete guide to the operation and repair of the Model T Ford with illustrations. Model T Ford Owner's Supply Book by Dan Post (1959). A reissue of the 1920 Western Auto branded replacement parts for the Model T. This company, as a publicity stunt, built an entire Model T using their parts that had never seen the inside of a Ford Factory. 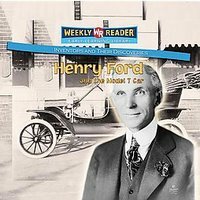 Along Came The Model T: How Henry Ford Put The World On Wheels by Robert Quackenbush (1978). A biography of the developer of the first lightweight, inexpensive automobile. The English Model T Ford: A Century Of The Model T In Britain by M A Riley, B Lilleker & N Tuckett (2008). 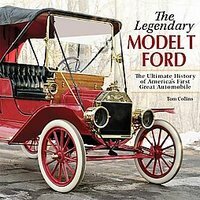 A well wriitten and researched book on the car that started it all - the Model T Ford. Lovely original and very old photos of this car with supporting text. A six year historical study compiled by three authors. Me And The Model T by Roscoe Sheller (1988). 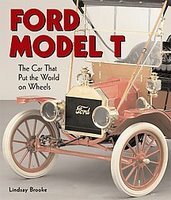 As a Ford dealer during Lizzie's era, the author wrote about the frustrating challenges and the hilarious predicaments surrounding the advent of the Model T.
The Model T Ford by Christopher Simonds (1991) describes the development and production of the Ford Model T car and its effects on America. A Model T Named 'It' by John Steinbeck (1953). First edition, first printing of this short story that Steinbeck did for the Ford Motor Company. Also includes a short story by E.B. White called From Sea To Shining Sea. Tin Lizzie: The Story Of The Fabulous Model T Ford by Philip Stern (1955). Numerous photos, sketches, recollections and anecdotes of the history of the Model T Ford (Tin Lizzie), from the first made in 1908 till the last in 1927. 3 Pedals And A Lever by Gordon Stromberg (1968) contains poetry, personal narratives, sketches and photographs, all on the Ford Model-T.
Model T: How Henry Ford Built A Legend by David Weitzman 92002). The development of the assembly line and the many innovations and adaptations Ford put to use in making his famous Tin Lizzy. When the Ford plant first opened, the crew could make 18,000 cars a year at a cost of $950 each. In just ten years, they had refined the process enough so that they could build one million cars in a year and the price had come down to about $350. Farewell To Model T From Sea To Shining Sea by E B White (2003 Reprint). Originally published in 1936, 'Farewell to Model T' was inspired by the landmark automobile's disappearance from American roads. Farewell To Model T by Lee White (1936). Pseudonymous long story by E B White that appeared in The New Yorker. 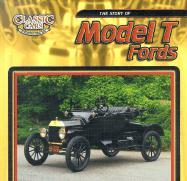 The Model T Ford by Jonathan Wood (2009). With 16.5 million built between 1908 and 1927, the Model T Ford was, until overtaken in the 1970s by the Volkswagen Beetle, the most popular car in automotive history. Mass-produced in America and around the globe, such was the Model T's market penetration and value-for-money that in 1921 Henry Ford's deceptively robust Tin Lizzie accounted for every other car on the highways of the world. 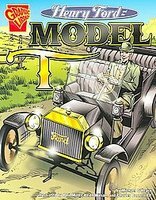 The Story Of Model T Fords by David Wright (2002) takes young readers on a fascinating ride through the early days of the automobile. From Henry Ford's introduction of the assembly line to the Model T's amazing popularity in the United States and abroad, this book traces the history of a car that helped change modern life. Rebuilding the Model T Ford Powerplant by Vic Zannis (2007). Excellent technical information in modest book. Model T Ford Coupe 1926 Photograph taken at Corner of 90th Street and 3rd Avenue Brooklyn, New York. Model T Times Various editions and years. Model T Ford Club International magazine. Ford Model T 5.5" x 5.5" card. Colour photograph. Specifications and history on the reverse. 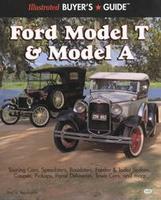 Official Publication Of The Model T Ford Club Of America Various editions and years. An exciting publication with many photos and much history, technical advice and collector information.